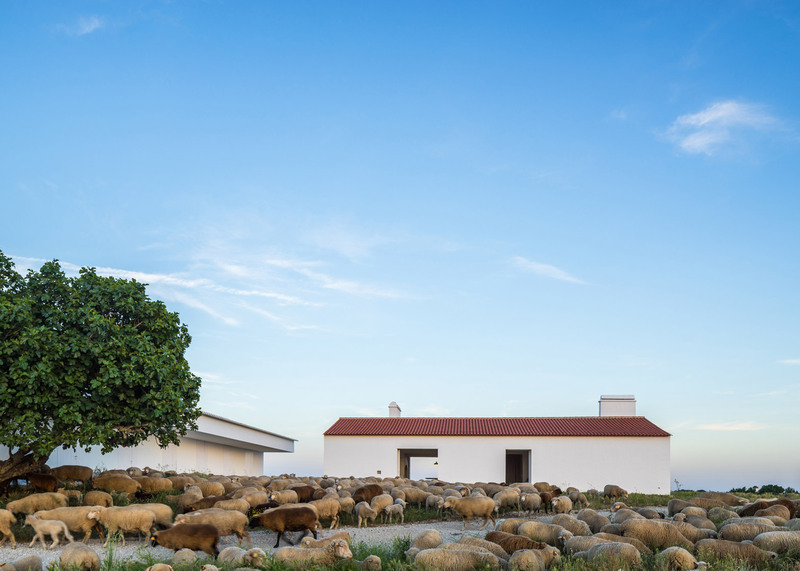 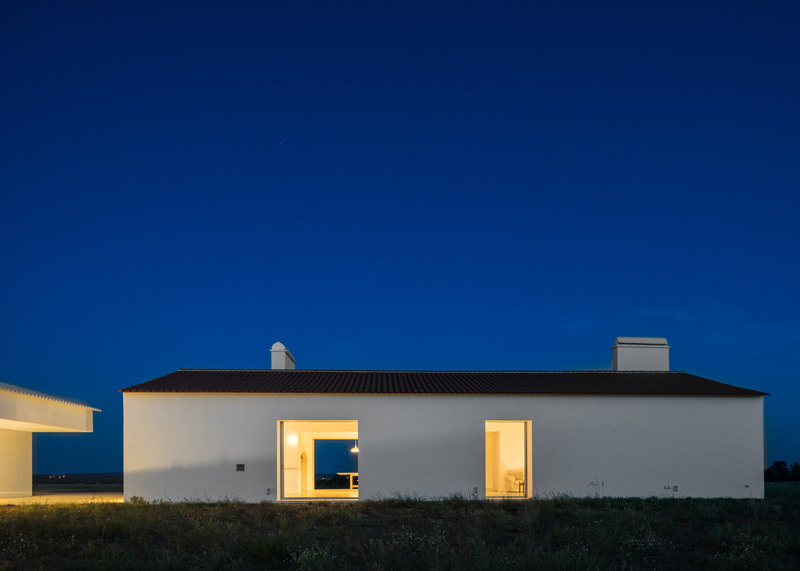 Portuguese studio Aboim Inglez Arquitectos has converted and extended a century-old farmhouse near Lisbon to create a series of holiday homes overlooking the Alentejo plains (+ slideshow). 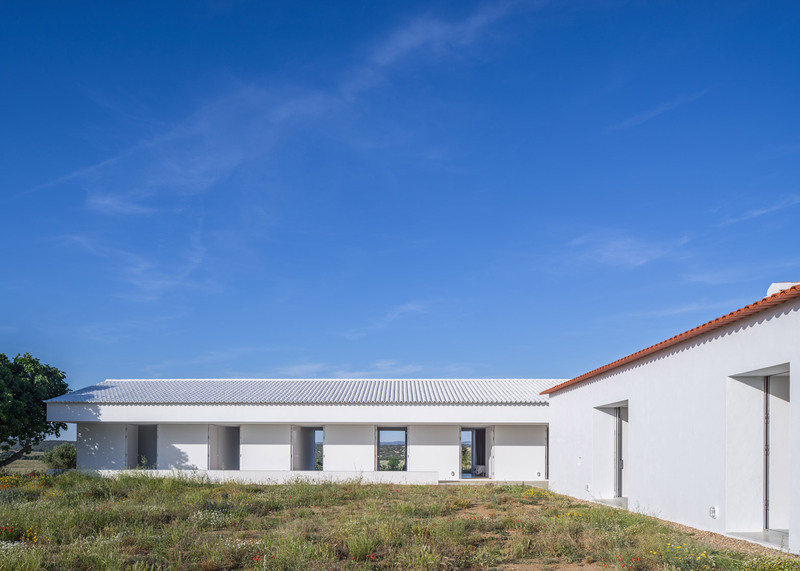 Originally intended as a single holiday retreat for a retired couple from Lisbon, the project evolved to include a new gabled block containing five en-suite bedrooms for holidaymakers. 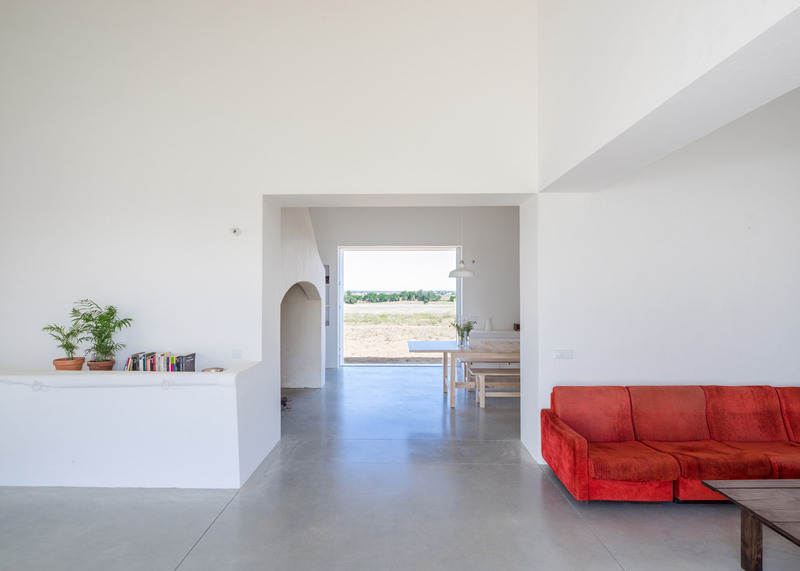 This addition allows the couple's family to occupy the restored farmhouse, while simultaneously running their business. 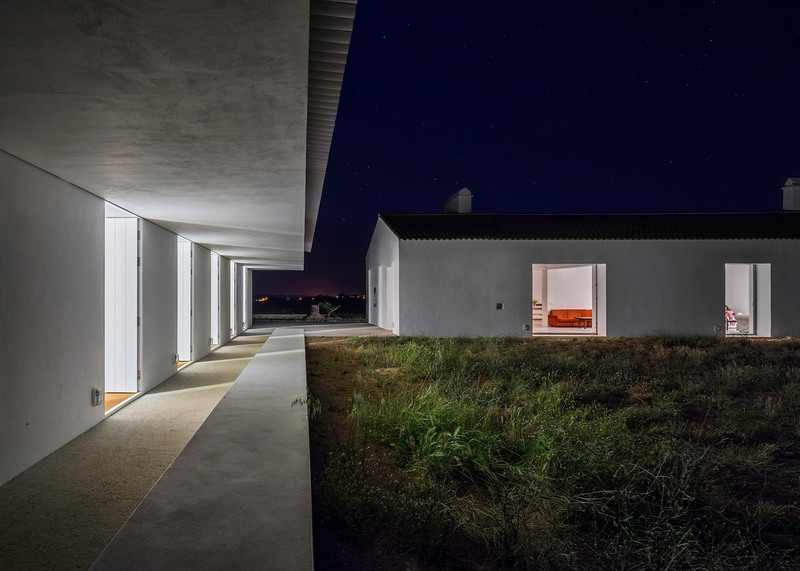 The buildings, collectively known as Monte da Azarujinha, sit on a 140-hectare property populated by cork trees on the outskirts of Azaruja, a village in Portugal's Évora district. 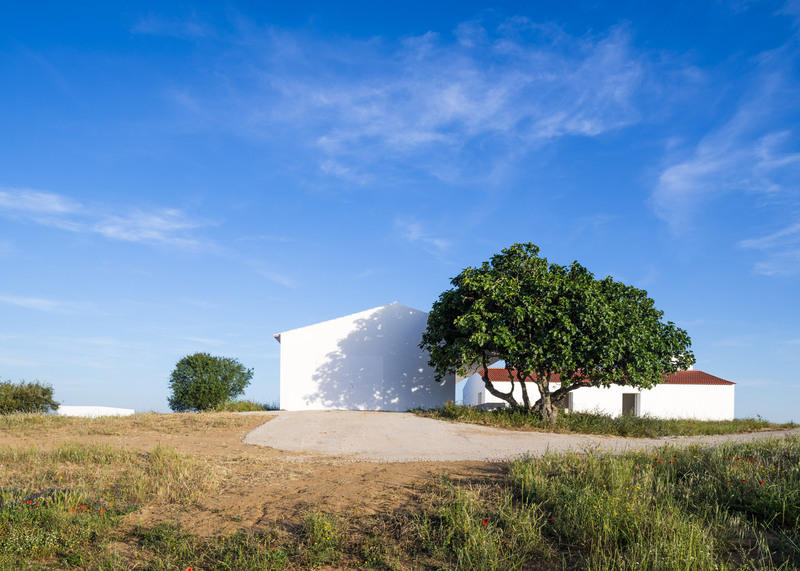 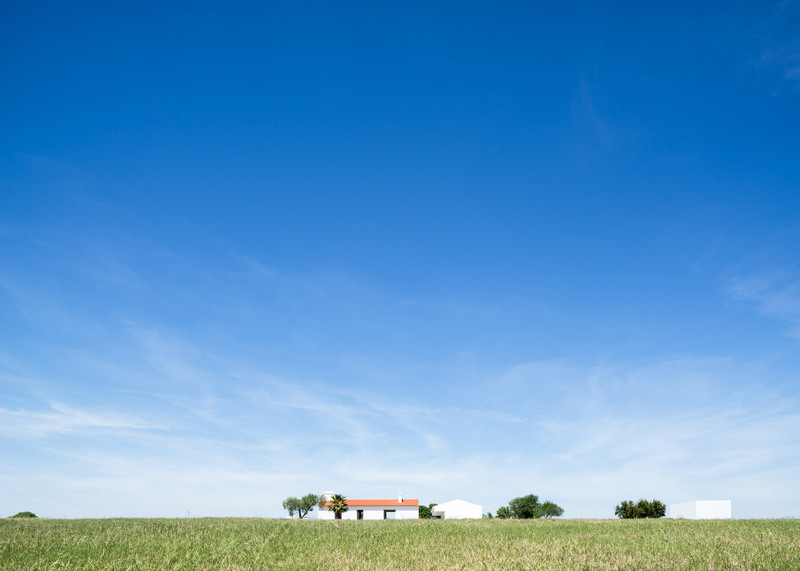 "When the option of expanding the new house and designing a new building was taken, the question of insertion into the vast landscape arouse,"architects Maria Ana and Ricardo Aboim Inglez told Dezeen. 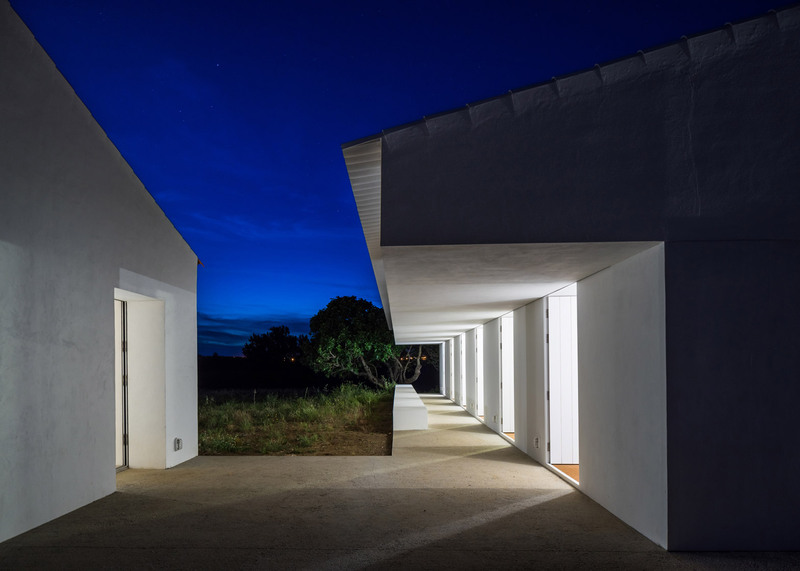 "We felt the new building shouldn't stand out and would have to be carefully inserted on site, so as to have a peaceful relation with the old building," they added, "enhancing both at the same time, and creating a unity in harmony with the vast surroundings." 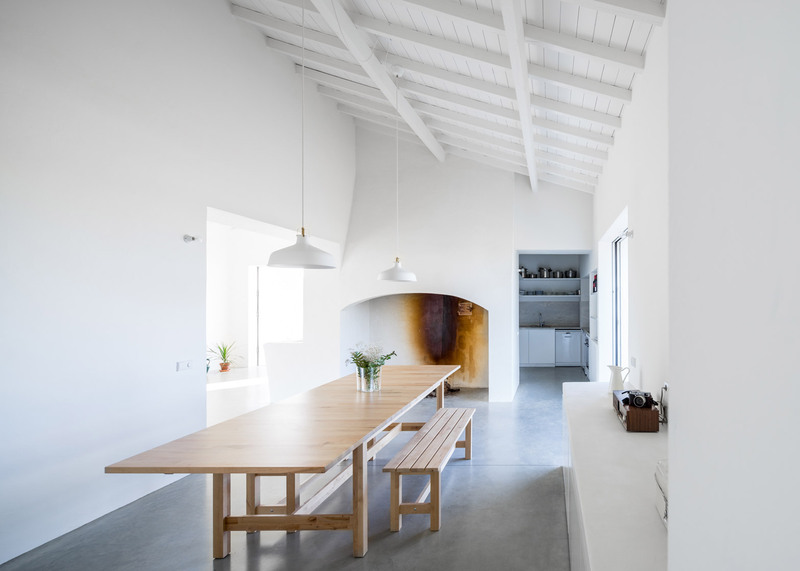 Dealing with a non-specialised workforce, the architects decided to employ traditional construction methods and materials that give the two buildings a similar appearance. 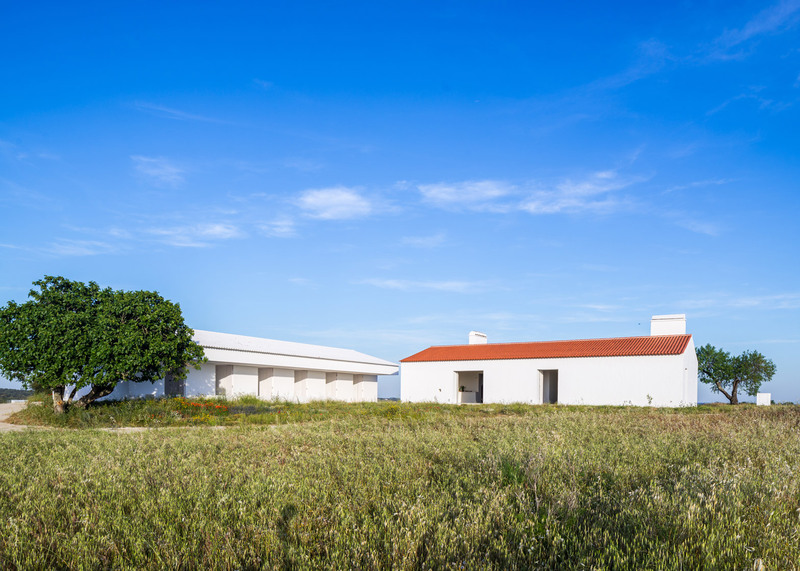 The new white-rendered block has a reinforced concrete structure and a roof covered in white-painted tiles that contrast the traditional terracotta-coloured versions used on the original farmhouse. 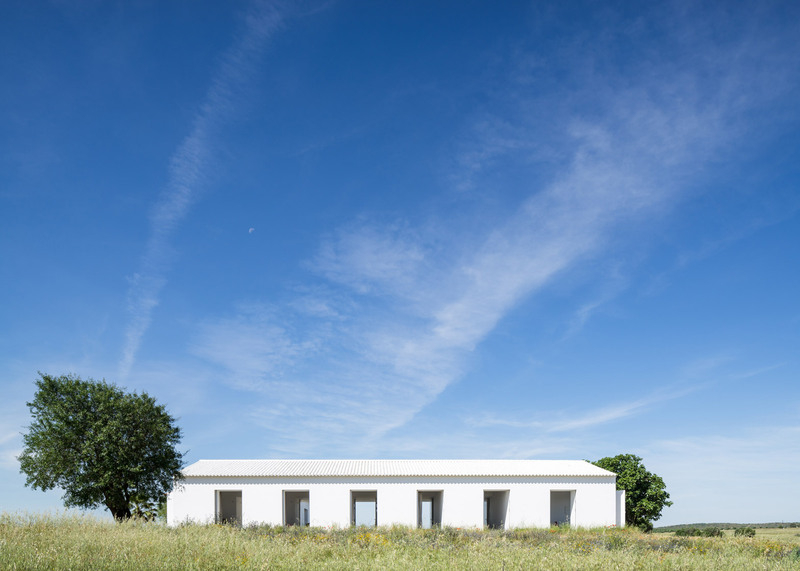 Painted wooden doors and shutters complete the structure's all-white appearance, which is intended to provide inhabitants with some relief from the summer heat. 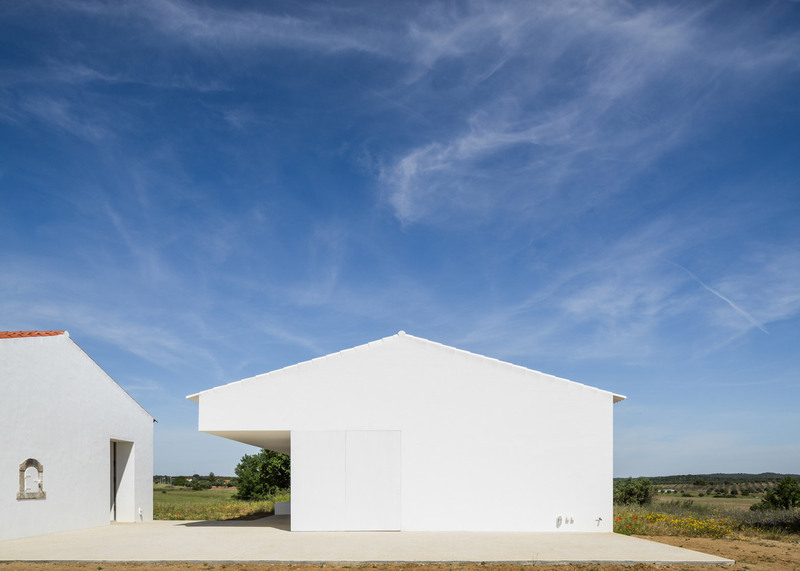 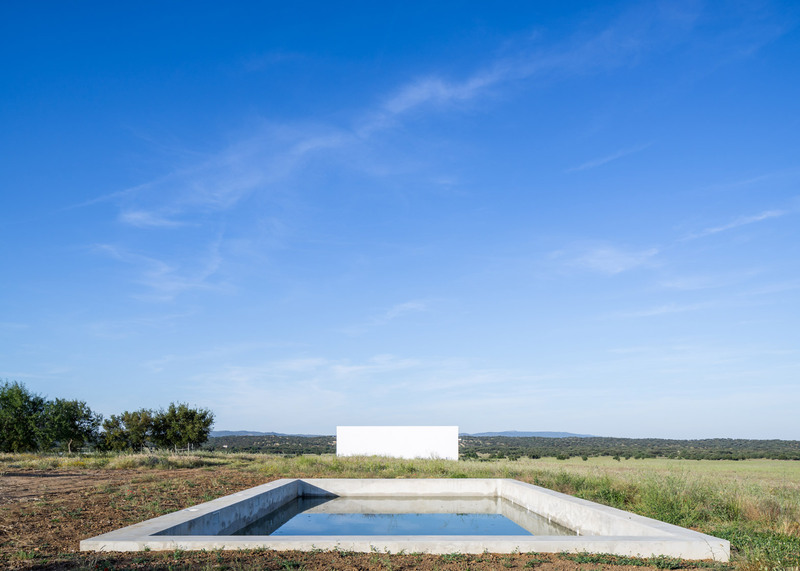 Portuguese architect and set designer João Mendes Ribeiro adopted a similarly white aesthetic for his gabled extension to a winery and spa resort in the country's Portalegre district. 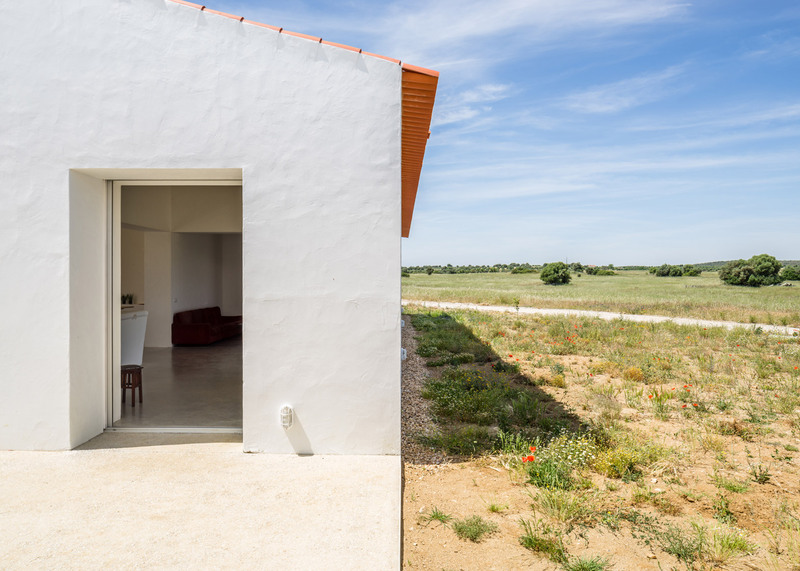 "Having a white building is the most natural way of reflecting light, taking the heat away from the building," said the architects, who also used hand-painted rather than glazed tiles so as not to create a shiny appearance. 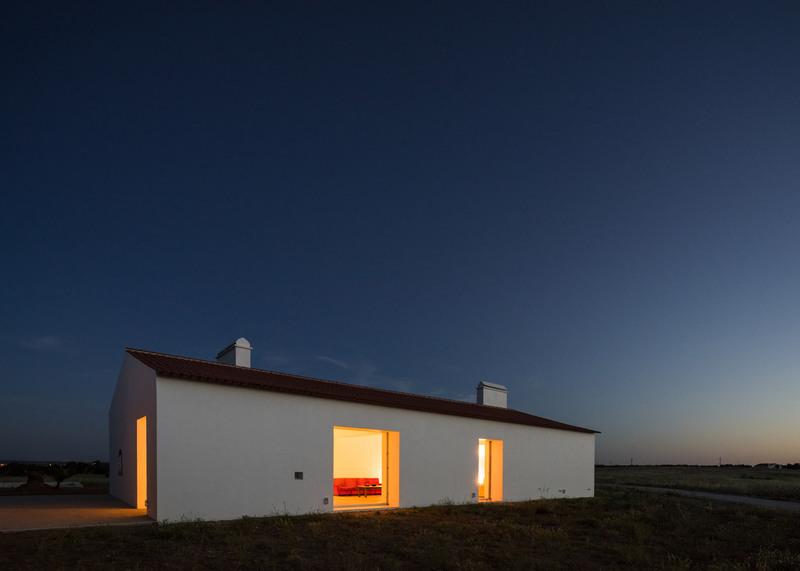 "We also wanted it to reflect the sky, but we didn't want it to glow," they explained. 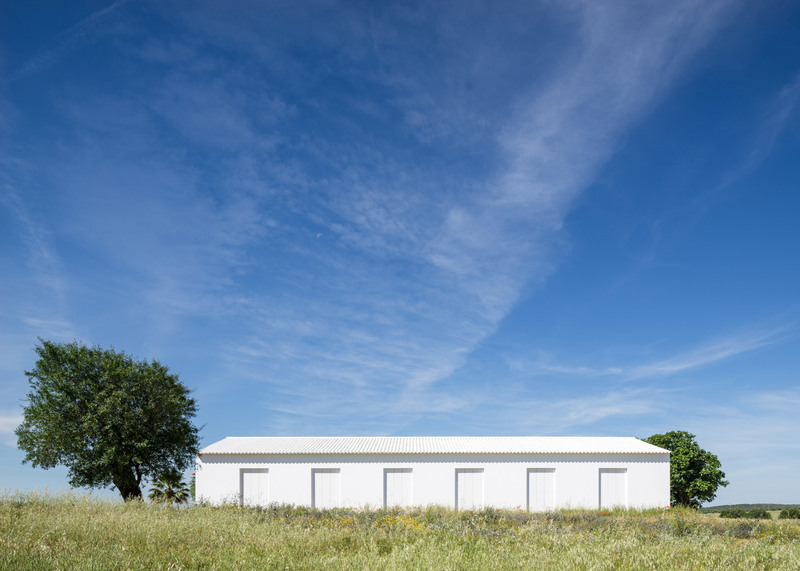 Dilapidated extensions were stripped away from the existing farmhouse to create a simple gabled form that echoes the new building. 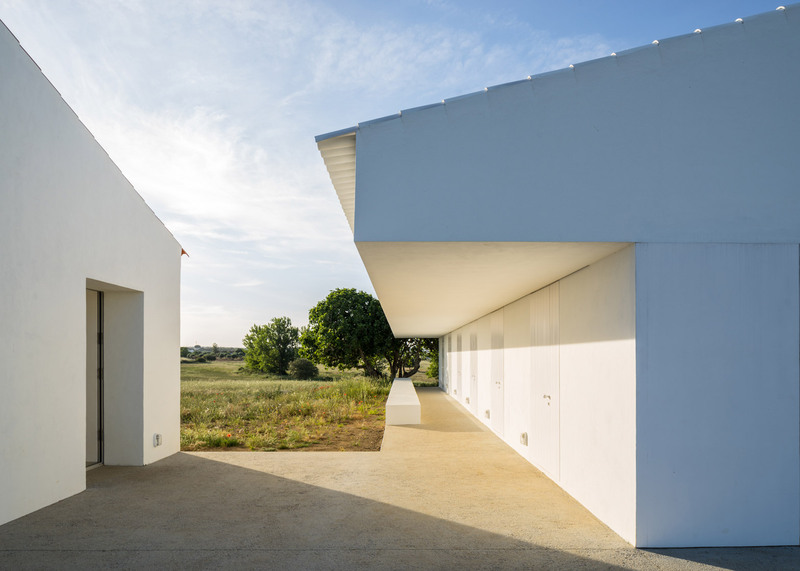 The two buildings are set at right angles to each other and connected by an L-shaped walkway, made from concrete with an exposed aggregate surface. 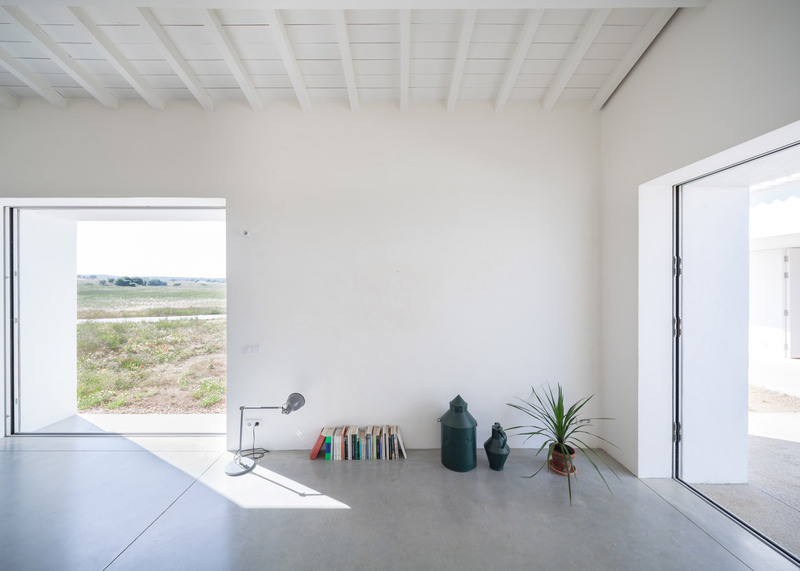 Inside both blocks, white plasterwork is paired with polished concrete floors and painted ceiling rafters. 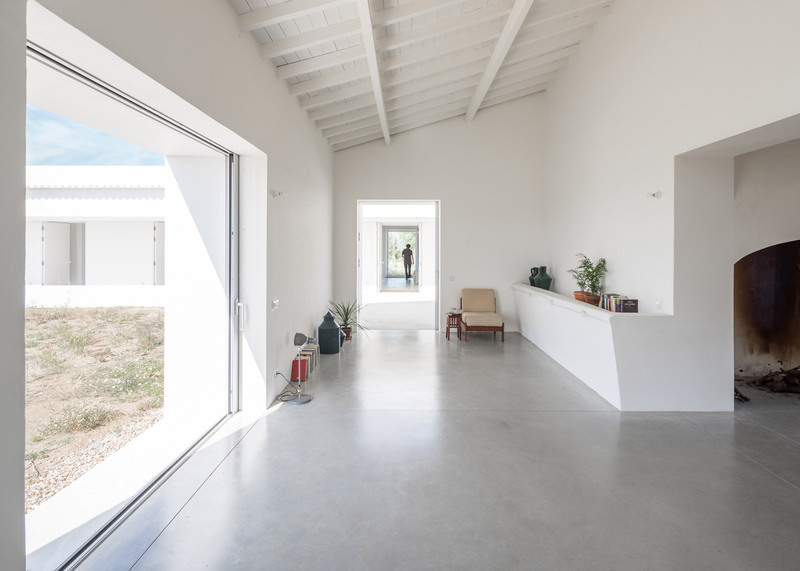 Sliding windows in aluminium frames recede into the walls to create a seamless connection with the patio, and a broad open fireplace can be used to heat the interior of the main house in winter.